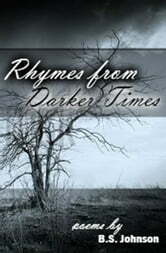 Straight from the deepest crevices of the soul, the poems in Rhymes From Darker Times are not your typical "Roses are Red" poems. They stem straight from heartache, let-downs, and sometimes even late-night-pour-me-another-one-feel-sorry-for-myself binges. They will take you from strange to odd, weird to sad and back again.